But stop in some noontime at the 110-year-old Reading Terminal Market in Center City, where all the culinary streams flow together, or at Sarcone’s Deli or Jim’s Steaks, a few blocks to the south, and you will quickly realize that this food has won the hearts of Everyman and Everywoman — blacks and whites, locals and tourists, beefy working stiffs, primly dressed matrons, youngsters wearing the No. 3 of their hero, Allen Iverson of the 76’ers. An astonishing number of old institutions survive. Bassett’s Ice Cream, founded 1861, is the nation’s oldest brand and one of its best. Pat’s King of Steaks has been around since 1930. Esposito’s has been in the meat business since 1911 and Termini Brothers in the pastry business since 1921. Sadly, though, pepper pot soup, one of the grand Philadelphia gastronomic traditions, appears to be all but defunct. Although George Washington’s chef at Valley Forge probably did not invent it, as myth maintains, it was for decades as integral a part of southeastern Pennsylvania life as Independence Hall and sculls on the Schuylkill. Old Original Bookbinder’s closed last year, depriving not only those who devoured the spicy soup at its tables but also those (like me) who used to buy the brew in cans. The City Tavern still serves pepper pot, but it is made with salt pork and salt beef, not with tripe, as specified by the noted Philadelphia cook Sarah Gibson Rorer in her classic cookbook of 1886. For the authentic version, pepper pot lovers must now repair to the Swann Cafe at the Four Seasons Hotel, where it is served intermittently, October through January. PHILADELPHIA’S greatest food export is the cheese steak, which is built around beef sliced paper thin and sizzled very briefly on a griddle. Although not in the same food-as-fuel league as the hamburger, the hot dog and the pizza, it has made a national name for itself in the last quarter-century, and its hold on the city of its birth seems unshakable. Which raises an eschatological question: why should pepper pot soup die out while the cheese steak and its cousin, the hoagie, thrive? The Big Three of cheese steaks, each championed with pugnacious intensity by a phalanx of ferocious partisans, are Jim’s, Geno’s and Pat’s. Risking damage to my digestive system, to say nothing of my clothing, I returned to all three of them recently, in pursuit of gastronomic truth and beauty. Pat’s and Geno’s, a pair of squat, unadorned, utilitarian structures, stand diagonally across from each other at the southern end of the Italian Market, where Ninth Street, Wharton Street and Manayunk Avenue cross. Neither has indoor seating. Each has one service window for sandwiches and another for drinks and fries. Each is rimmed by plastic tables and benches firmly bolted to concrete sidewalks and shielded from sun, rain and snow by flat metal roofs that project from the main building. Each is open 24 hours a day. This is the drill: You stand in line, inching toward the window. When you get there, speak your piece to the stone-faced counterman quickly, unless you want trouble from those behind you. If you say, “Whiz, with,” as you should, your sandwich will come with grilled onions and Cheez Whiz, the unabashedly orange processed goo made by Kraft Foods; for this purpose, if few others, it is absolutely ideal. White American cheese and provolone are much less satisfactory options. “Without,” meaning “hold the onions,” sounds subversive to me. Pat’s, the oldest of the Big Three, claims to have originated the cheese steak. It uses torpedo-shaped rolls from Vilotti’s bakery; they are a bit firmer than the Amoroso bakery’s rolls favored by most other cheese steak emporia. A good thing, too, because so much meat and other stuff is jammed in that a flabby roll might fall apart. Jim’s is something else again. Much closer to Center City, in the midst of the South Street tourist district, it draws far more cheese steak neophytes. Its black and white faux Art Deco interior makes a stab at décor. It has indoor tables, chairs and even toilets. Its grill men chop the steak into small pieces with a few quick blows from the edges of their spatulas. The resulting sandwich is a near-perfect amalgam of juicy, greasy bits of beef and bland, gummy cheese — maybe not Philly Mignon, as proclaimed on one Web site, but irresistible. Both raw and grilled onions are offered; a mixture gives the sandwich a welcome bite. Jim’s wins my blue ribbon, but then, what do I know? I’m not Italian and not from Philadelphia. CHEESE steaks are only one of the lures of South Philadelphia, which is the heartland of the city’s Italian-American community. The Ninth Street Market, with shops and stalls flanking the street for a dozen blocks, is a delightful anachronism — the oldest working outdoor market in the nation. Claudio’s cave of marvels, packed with olive oils, anchovies, tuna and balsamic vinegars, is entered through a curtain of hanging cheeses. Cannuli’s butcher shop, whose floor is covered with sawdust, has a gargantuan oven that can, and regularly does, cook 16 boned and stuffed pigs at once. Settlers from Naples, Sicily, Calabria and Abruzzo poured into South Philadelphia in the 1880’s and 1890’s, and in the 1950’s singers like Mario Lanza, Frankie Avalon, Fabian and Bobby Rydell sprang from these hard streets. But in the last quarter-century, more and more Italian-Americans have moved to the suburbs, notably those in New Jersey. Latin American and Asian immigrants have taken their place, and now Huong Lan, on Eighth Street, offers “Vietnamese Hoagies,” whatever those might be, along with pho and bun bo Hue. According to those who have explored the murky recesses of local food history, hoagies owe their name to the Hog Island shipyard on the Delaware River. During the Depression, or so the story goes, construction workers there used to buy Italian sandwiches from a luncheonette operated by one Al DePalma, who called them “hoggies.” Time changed the name to hoagies. Hoagies are not fundamentally different from New York’s heroes or Boston’s grinders or Everytown’s submarines. Call them what you like, but Philadelphia must eat more per capita than anyplace else, and in a city where almost everybody, including Wawa convenience stores, fills eight-inch-long bread rolls with cold cuts, South Philadelphia fills them better than anyone. The bread is the key to quality. 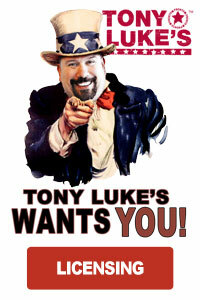 So who better to make a great hoagie than a great bakery? That would be Sarcone’s, a fixture on Ninth Street, which a few years ago opened a tiny deli a few doors away. Its Old Fashioned Italian (Gourmet) hoagie is a minor masterpiece. A roll with a crunchy seeded crust and a soft, yet densely chewy, interior provides a solid base with plenty of absorptive power. Both are sorely needed after they pile on the prosciutto, coppa, spicy sopressata, provolone, oregano, tomatoes, onions, hot peppers, oil and vinegar. Ed Barranco, owner of the nearby Chef’s Market, which serves Society Hill’s carriage trade and catering clients across the city, pointed us toward Sarcone’s, and since we liked it so much, we decided to take him up on another recommendation. 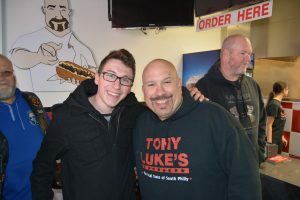 We would be well advised, he said, to try the chicken cutlet, sharp provolone and broccoli rabe sandwich down at Tony Luke’s. So we found the joint, tucked under an I-95 overpass, in south South Philadelphia. We ordered roast pork instead of chicken — I have a thing for Italian-style roast pork — and ate it in the company of weight lifters and truck drivers, several of whom left their rigs idling at the curb. John’s is the classic spot, a tiny stand that serves only four flavors — cherry, pineapple and lemon (all made from fresh whole fruit, not syrup), plus chocolate. The cherry tastes the way cherries taste in northern Michigan in high summer. In keeping with the times, Pop’s, which started as a cart pushed by Filippo (Pop) Italiano in 1932, offers 15 flavors on most days. My wife, Betsey, ordered lemon, and I ordered mango, both marvelous. But neither of us tore into ours with quite the exuberance of Rocky, a 3-year-old in from Jersey with his mother for a day’s grocery shopping in her old neighborhood. Rocky opted for root beer. I have never quite understood the squeamishness that scrapple excites in a lot of people. True, the ingredients sound slightly revolting — “pork stock, pork, pork livers, pork skins, pork hearts, pork tongue,” to quote part of one label. But sausage generates no such qualms, unless you consider the old admonition against watching the unappetizing manufacturing process. But nothing topped the scrapple we were served at the nonpareil Down Home Diner in Reading Terminal, a bastion of Pennsylvania Dutch quality. The diner belongs to Jack McDavid, who comes from rural Virginia and is known for ferreting out prime ingredients. His scrapple is made by a small company called Godshall’s, based in Telford, Pa. Pale, salty, moist and buttery, it appears to contain more spice, more meat and less filler, giving the end product an unusually rich texture. Like scrapple, pretzels originated in Germany, where they are called “bretzels.” This part of Pennsylvania produces tons of standard, hard-baked pretzels, but it also produces something special — soft pretzels, made of nothing more than flour, yeast (to make them rise), water, a little salt and a smidgen of brown sugar. At the Fisher family’s stand, the dough is mixed in an ancient Hobart machine. The pretzel-bender, an elderly Amish lady in a gauzy white bonnet, rolls it out with her hands to the diameter of a little finger, then twists it into shape in one practiced motion. After baking, the pretzels are sprinkled with coarse salt and sold while still hot. A coat of melted butter is optional; a filigree of brown mustard is absolutely required. Without mustard, you’ll look like an ausländer. The pretzels are incomparable — light, airy and tasty. Their leaden street-corner competition can’t cut it, any more than an airline bagel can match one of Murray’s. Well, then. Scrapple for breakfast, a couple of pretzels for lunch. What’s for dessert? The market has an answer for that, too, in the form of Bassett’s Ice Cream. The company that makes it, established 140 years ago by a Quaker schoolteacher, is run today by his great-great-grandson. At its marble counter, you can order a cup, a cone or several pints, packed in dry ice for travel if need be. BASSETT’S ICE CREAM — 51 North 12th Street, Reading Terminal Market; (215) 925-4315. DOWN HOME DINER — 12th and Filbert Streets, Reading Terminal Market; (215) 627-1955. GENO’S STEAKS — 1219 South Ninth Street; (215) 389-0659. JIM’S STEAKS — 400 South Street; (215) 928-1911. JOHN’S WATER ICE — 701 Christian Street; (215) 925-6955. PAT’S KING OF STEAKS — 1237 East Passyunk Avenue; (215) 468-1546. POP’S WATER ICE — 1337 Oregon Avenue; (215) 551-7677. READING TERMINAL MARKET — 51 North 12th Street; (215) 922-2317. SARCONE’S DELI — 734 South Ninth Street; (215) 922-1717. SILK CITY DINER — 435 Spring Garden Street; (215) 592-8838. Correction: June 4, 2003, Wednesday An article in the Dining section last Wednesday about the street foods of Philadelphia misidentified an avenue that intersects Ninth and Wharton Streets near two popular restaurants, Pat’s King of Steaks and Geno’s Steaks. It is Passyunk, not Manayunk.